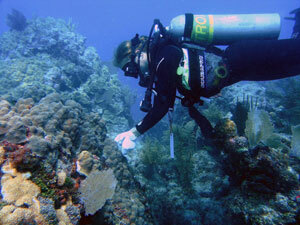 Florida Keys National Marine Sanctuary may issue permits for research and educational activities that would otherwise not be allowed by sanctuary regulations. Requests for permits are considered when the proposed activities will further research or monitoring related to sanctuary resources and qualities, will further the educational value of the sanctuary, and meet application requirements. Permit applications for research and education activities are reviewed based on the priority needs of sanctuary managers to inform resource protection. Please carefully review information about permit timelines before submitting an application. Applicants are encouraged to contact the appropriate sanctuary staff well in advance of submitting a formal application to discuss any questions or issues they feel may complicate or delay the application process. There is no guarantee a permit application will be processed by the requested effective date. Permit applications and instructions may be downloaded here. Completed applications should be submitted to Joanne Delaney, FKNMS Resource Protection and Permit Coordinator, at Joanne.Delaney@noaa.gov.